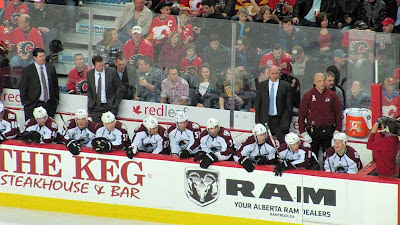 One of the things I miss now that I'm in Calgary is watching "my" hockey team, the Colorado Avalanche. In Denver you can watch almost all of the games on the Altitude TV network. 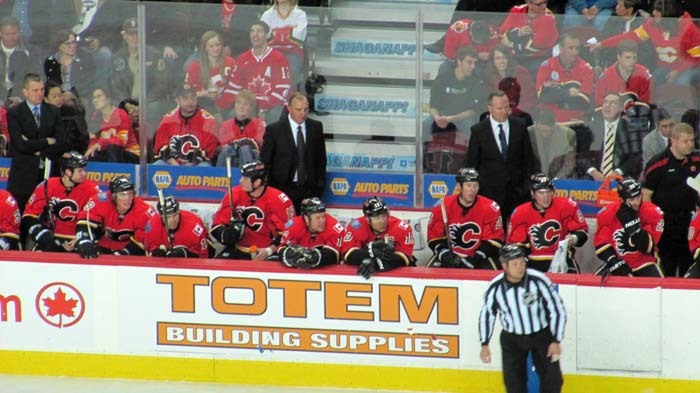 Last night, the team was in Calgary to play against the Calgary Flames. My daughter, son-in-law and grandson gave me a ticket to the game for Christmas and my daughter and I went. 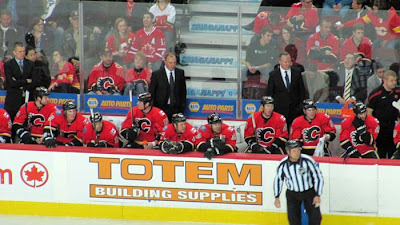 It was so nice to be in a hockey arena again and to see the team. 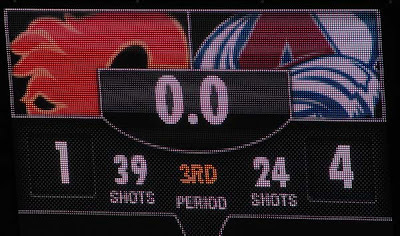 The game was a good one, at least for Colorado. 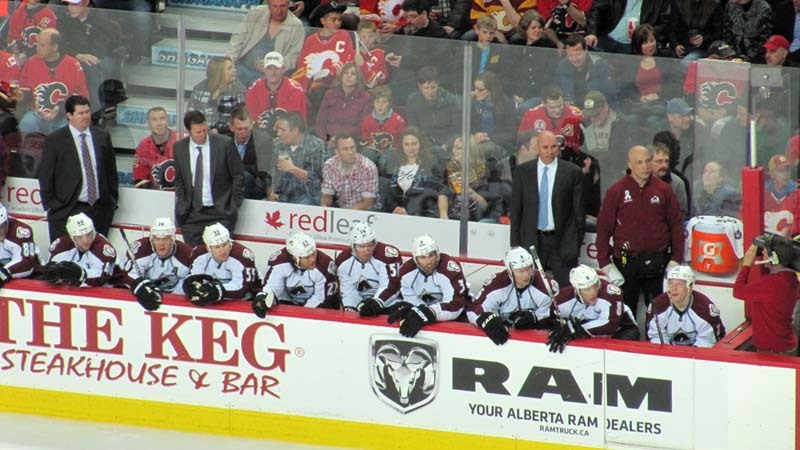 This is playoff hockey and the Avs were focused. Faceoff at the beginning of the second period. 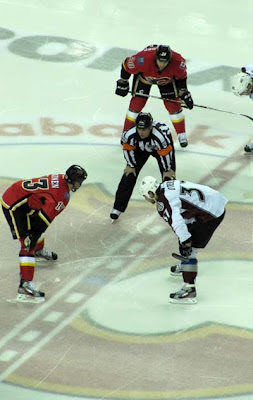 The score was 2 to 0 in favor of the Avalanche early in the first period and that held almost to the end when the Flames scored. A few seconds later the Avs scored on an empty net making the final score 4 to 1. The Colorado Avalanche may not make the playoffs, this year at least, but they are a young team and building and tonight they put on a good show. I thoroughly enjoyed myself.